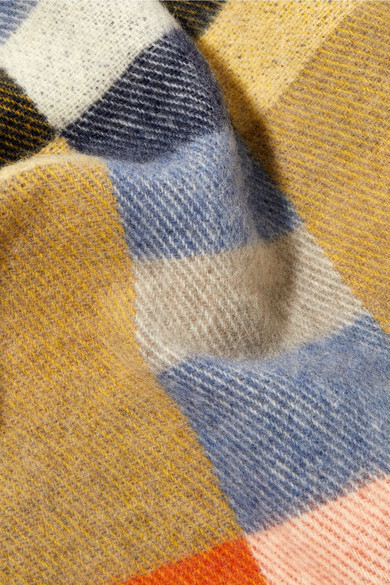 Scarves are essential for the cooler months of the year, and we especially love Holzweiler's 'Tableau' version. 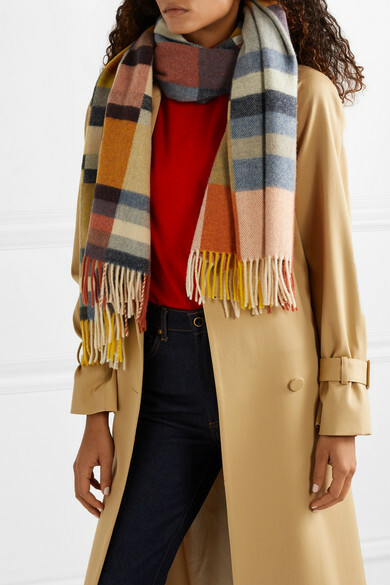 Woven with colorful checks, it's been crafted in Italy from an insulating blend of wool and cashmere and cut for a generous drape. Tuck it inside of your coat on especially cold days. Shown here with: Jil Sander Sweater, The Row Trench coat, Khaite Jeans.